← Indie-Visible 2.0’s PubHub is a Go! 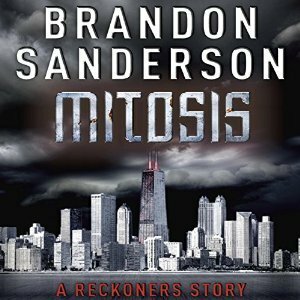 From “New York Times” bestselling author Brandon Sanderson’s action-packed novel “Steelheart” comes “Mitosis,” a short story set in the world of The Reckoners series, exclusively available in the digital format. Mitosis is a novella that takes place between Steelheart and Firefight, and centers on the revitalization of Newcago after the reign of Steelheart. David is optimistic about the progress they are making to make Newcago safe to live in, free of all Epic’s influence. However it would seem that others are not so sure, and when Mitosis shows up it seems like they were right. 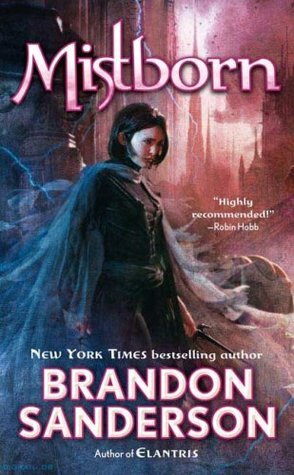 I love how much action Sanderson managed to pack in this short story. Even though this story is only about 35 pages I absolutely loved every minute of it. David is on top of his game with the awful metaphors and bizarre genius when it comes to fighting off Epics. And the narrator is fantastic as what he does, he captures David’s personality perfectly and does some great voices for Abraham, Prof., and Mitosis. I can’t wait to dive into Firefight. Nuclear warfare destroyed Earth, setting it off its axis. A group of survivors escaped to Antarctica, discovering a city under the permafrost. Fable Ketterling was thirteen when the bombs went off. She was fifteen when she and her parents escaped. She was fifteen when she found the fountain of youth. She was fifteen when the fountain made her immortal. City of Cruelty and Copper showcases some pretty awesome ideas, and while I did enjoy it I found that it was a bit too much for me to fully appreciate. Fable was fifteen when she was made immortal by the Fountain of Youth, discovered by pure accident after a group of survivors find an ancient city under the ice of Antarctica. Now she’s become the symbol of their city. I liked how hardened Fable was to begin with, and after seeing what she goes through on Temperance Day and leading up to it, it’s very easy to see why. The people in this city are a tad crazy. If she’s the symbol of your city why put her danger? However I definitely think the whole idea was interesting and fast paced enough to keep me reading. There is a section told from a descendant of hers towards the middle, which is also pretty good I just hope it ties in with Fable a bit more in the next one. My main problem is that I left this story with way more answers than I had answers, but I own the second novella so I’m definitely curious enough to continue. 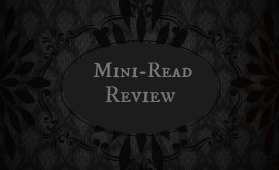 This entry was posted in Book Reviews (2015) and tagged 3 stars, 4 stars, fantasy, review, sci-fi, young adult. Bookmark the permalink.